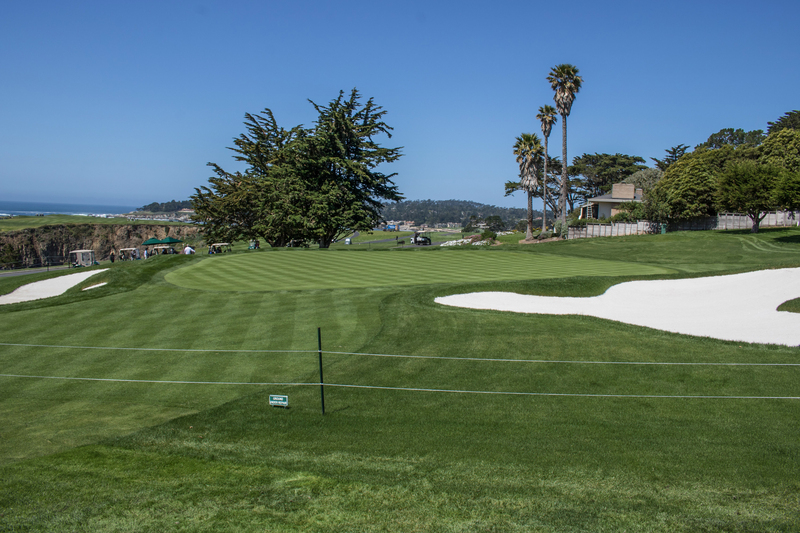 The next time you play the 13th hole at Pebble Beach Golf Links, you could be figuring out how to attack a new hole location. 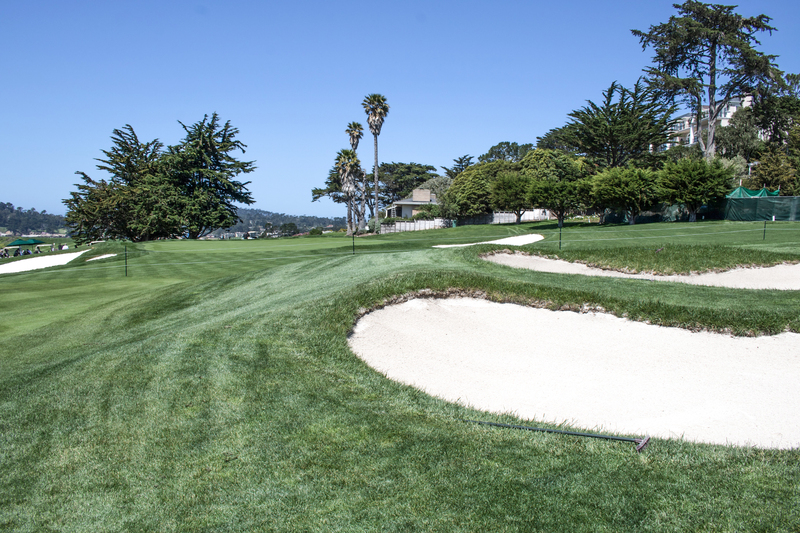 Hopefully, you’re not trying to catch a glimpse of it from the bottom of a new greenside bunker. 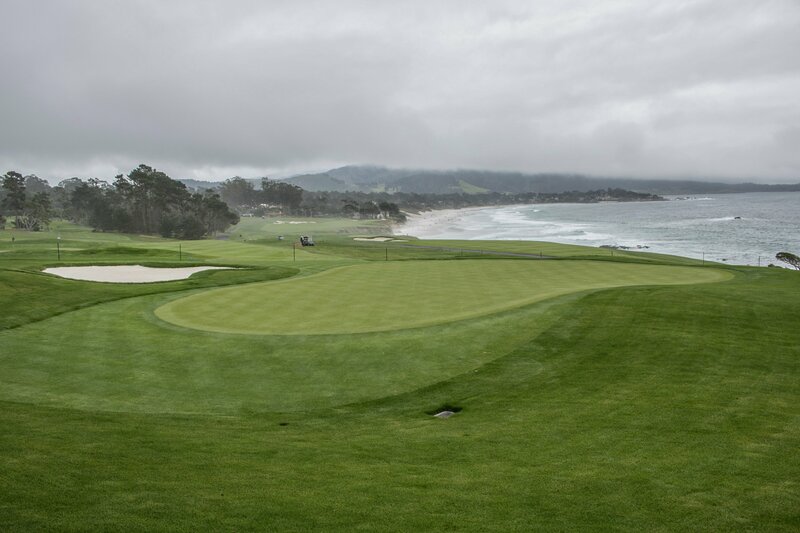 Shortly after Jordan Spieth’s convincing win at the AT&T Pebble Beach Pro-Am in February, work began to restore the 13th green at Pebble Beach. No. 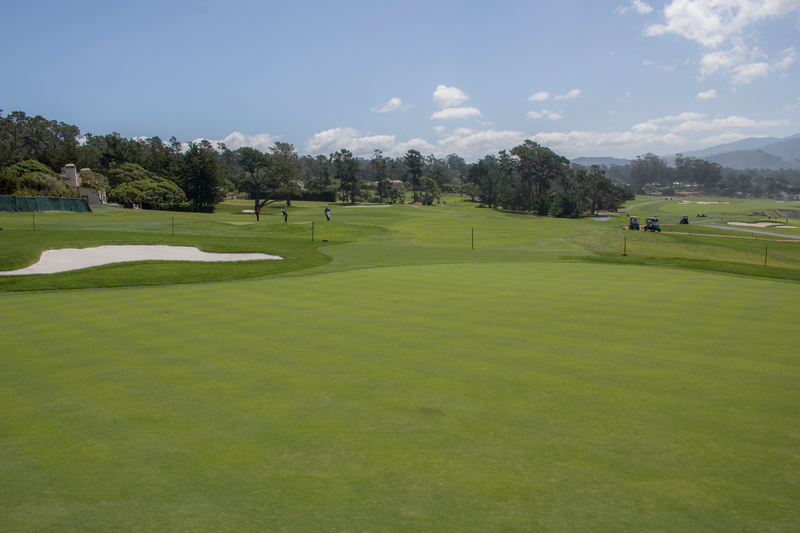 13 is the fourth green in the last five years that has been rebuilt, joining No. 9 in 2013, No. 17 in 2015 and No. 14 in 2016. 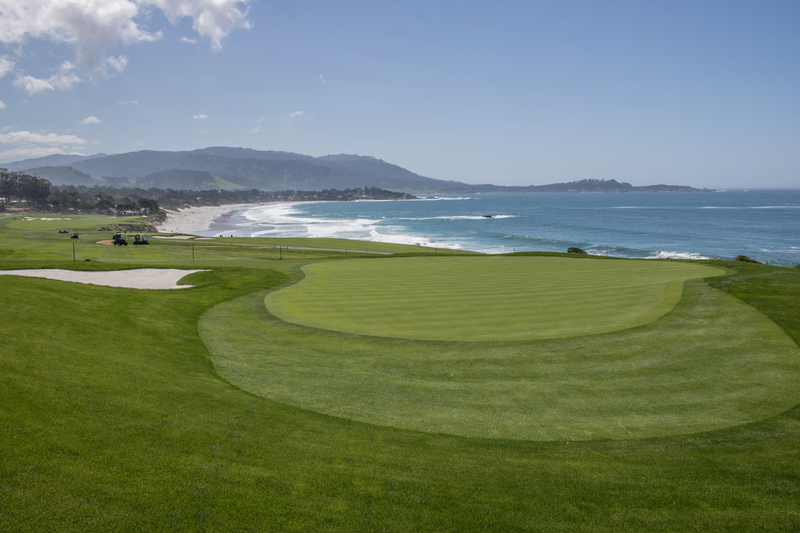 It’s the last green restoration planned ahead of the 2019 U.S. Open and the 100-year anniversary of Pebble Beach Golf Links. 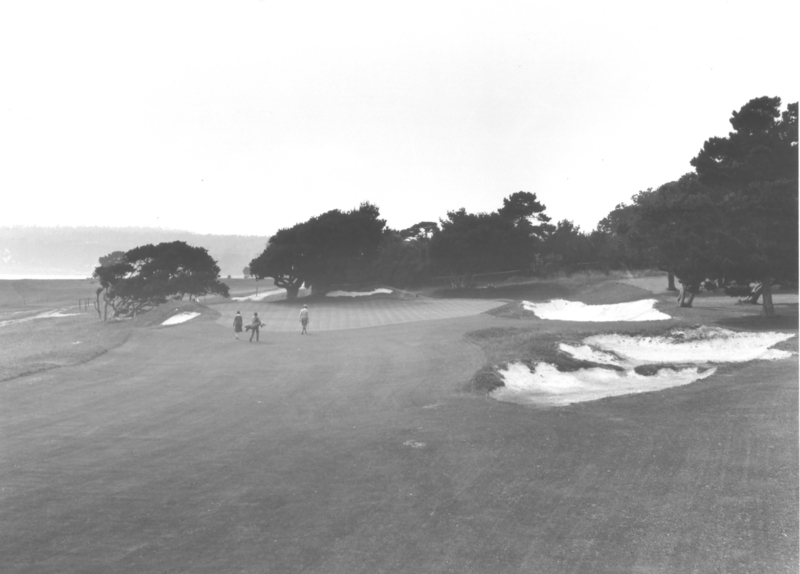 All four green restorations have been guided by historical photographs taken shortly after the course’s inception in the 1920s. The new greens were then built to USGA specifications, with Sub-Air systems installed underneath them. 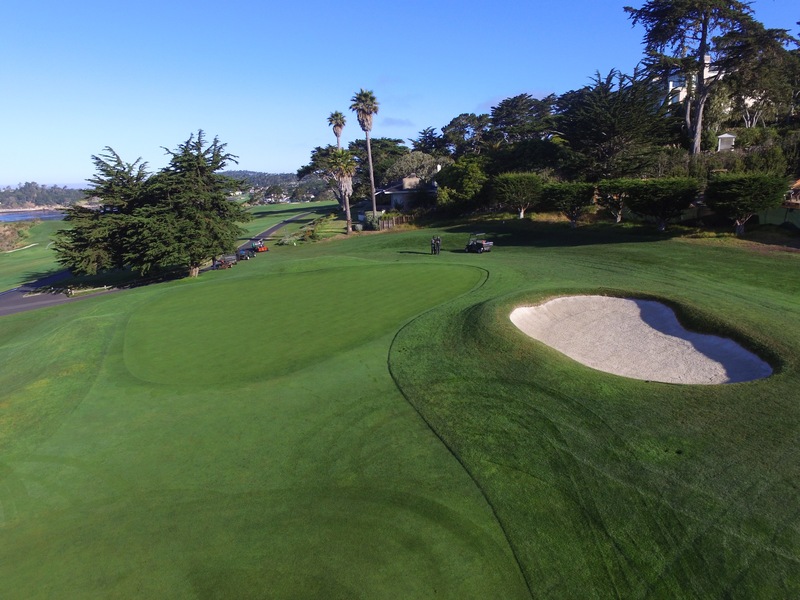 Each green was also slightly expanded and recontoured to provide more pin placements — both for everyday play, and when green speeds ramp up for championships. The 13th green renovation added 400 square feet to the right side of the green, and the right greenside bunker was lowered, establishing new hole locations. The work also included restoring a bunker to the left of the green. The green, which was one of two designed by Alister MacKenzie (the other is No. 8), was previously so precipitously pitched from right-to-left that pin placements have always been pushed to the left side of the green. “Keep the ball at all costs below the hole,” said Tiger Woods before his 15-shot demolition in 2000. 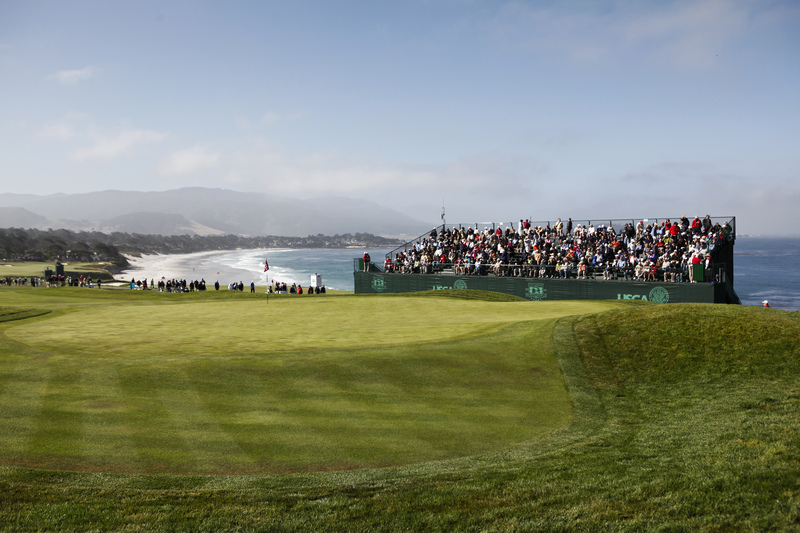 The uphill, 445-yard par-4 that usually plays into a prevailing summer wind, racked up a scoring average of 4.386 in 2010’s final round, the fifth toughest hole of the day. You can also see the tight apron that falls off the right side of the green is back, which will present a devilish up-and-down. While slightly tamer, the green still runs to the ocean once you get past the hole from this angle. 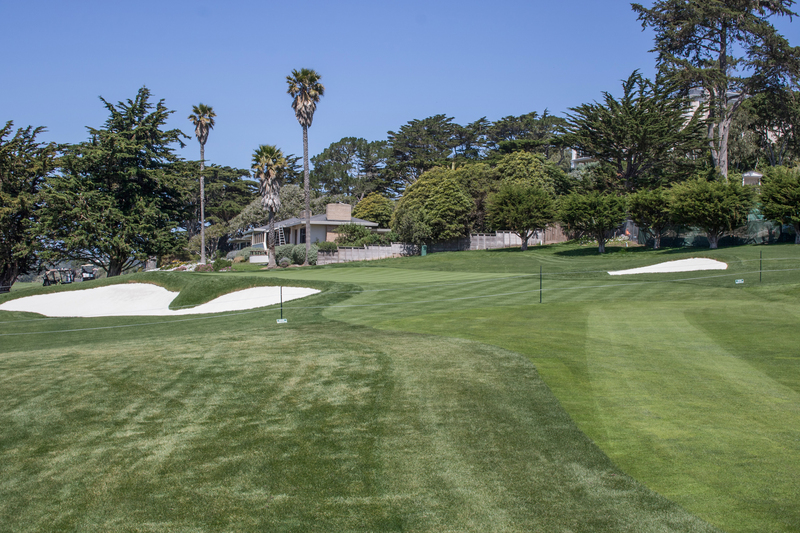 If you look closely over the right-hand bunker in the photo below, you can see a test hole location, which presents an entirely new strategy for the approach shot. The new green has a couple wrinkles that you’ll have to discover — watch out for the small ridge rising from the back edge! You’ll have to schedule a tee time to check our latest enhancement to the No. 1 public course in the U.S. (here, here, and here) for yourself!